Tradition and hi-tech meet in todays' siding marketplace. Beauty, protection, durability and low, low maintenance are yours when you choose Meer to transform your home. 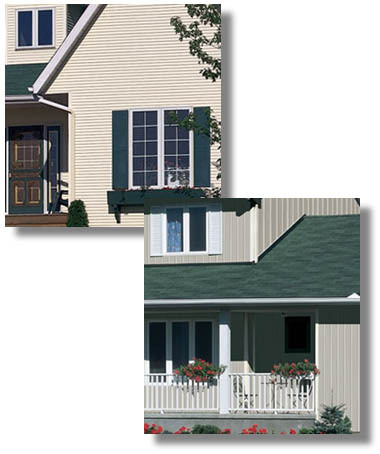 Meer can advise you on the best combination of doors and windows to compliment your new siding. Explore the Royal Building Products website (link below) to see why you should call Meer to cover your home. Meer installs Royal siding anywhere in Grey, Bruce and Simcoe counties. 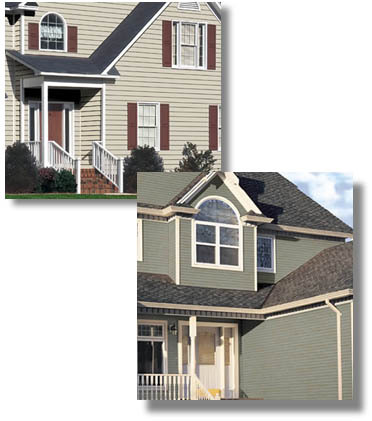 Choosing Royal Vinyl Siding from Meer may be the last time you ever have to think about your homes' appearance. Incredibly durable and environmentally friendly, these sidings will add years to your enjoyment and value to your most important investment - your home. Quality-crafted with attention to detail, Gentek products combine outstanding beauty and strength with the luxury of a low-maintenance finish. Backed by nearly 50 years of manufacturing expertise, it is our companywide commitment and never-ending ambition to produce the very best building materials - products deserving of our good name and worthy of the place you call home. Royal is one of North America's largest manufacturer of vinyl building products. We design and build our own manufacturing equipment, refine and blend most raw materials and transport products to distributors using our own fleet trucks. Royal products are not only superior in appearance, but also in durability. We invest heavily in high-tech research and development, which has led to our advanced Royalside Compound and Dura" technology process. We hold a large number of patented manufacturing processes.